with parents and access to critical information. 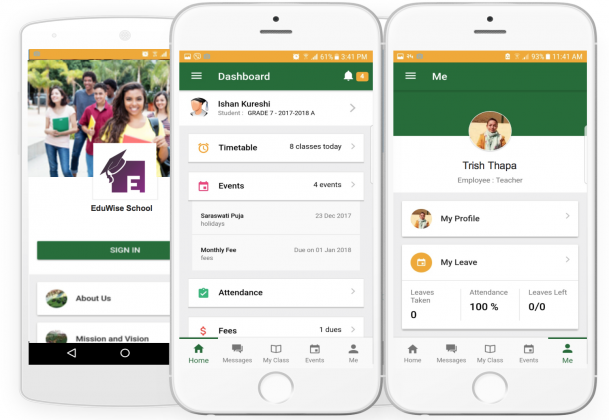 You can now enjoy the benefit of having a dedicated mobile app in your institution’s name that will communicate with the School Management and stay connected with everyone. 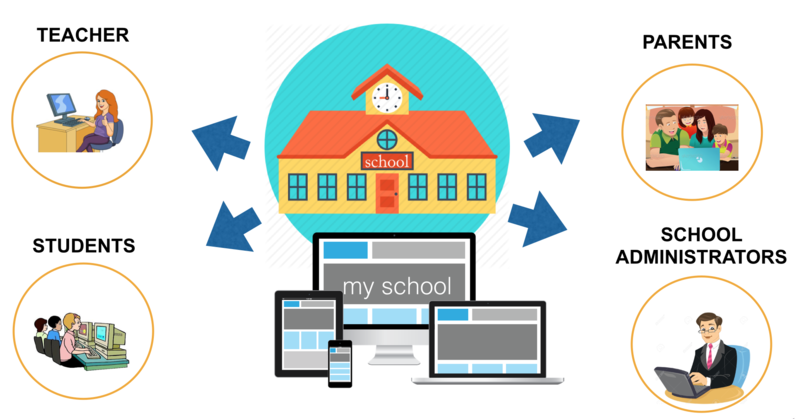 It’s easy to work on EduSmart School Management software on your first login without any instructions. Step by step process of using the system is available through support portal. Team EduSmart is there to provide trainings and offer ongoing help and support with any problem you encounter or answer any questions you may have about EduSmart. EduSmart offers the lowest Total Cost of Ownership of any ERP software in the education sector. Schools and colleges of any size can easily afford theEduSmart solutions and services. Get a graphical analysis of student performance, examinations, and finance with the help of EduSmart School ERP. Customize reports the way you want with the custom report plugin. We offer every school full privacy to their data as the data is fully encrypted while being stored in EduSmart. All data is secured. Don’t worry about any crucial information being stolen.EduSmart protects your data. Using EduSmart makes your institution eco friendly as all data and your reports are stored on the cloud, the use of paper and files are necessary only when needed. 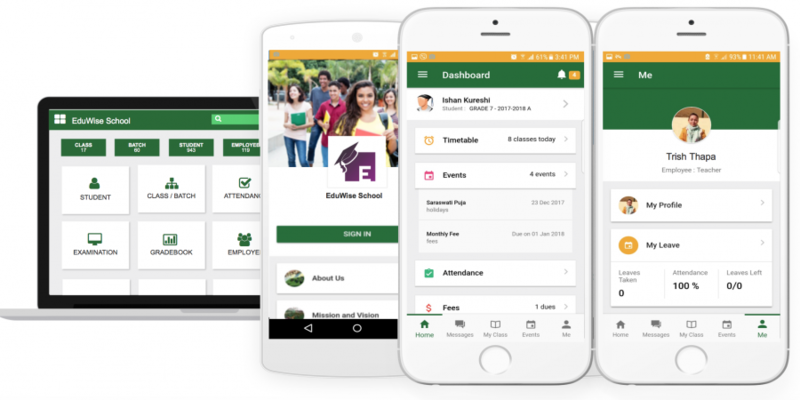 EduSmart provides Mobile App branded for your institution. It can be downloaded through App Store and Google Play. Teachers, Students, Parents and Staff have their own login to access the Mobile App. EduSmart School and College management platform is integrated with Learning Management System (LMS) for eLearning. Teachers and Students and have access to teaching, learning, and assessment resources. EduSmart empowers your teachers by providing them with student analytics about their performances, attendance etc. It helps teachers to save time and focus more on students and quality of education.